With the release of the movie entitled “The Secret,” the general public became familiar with the Law of Attraction (LoA) and how it can help them achieve their goals. 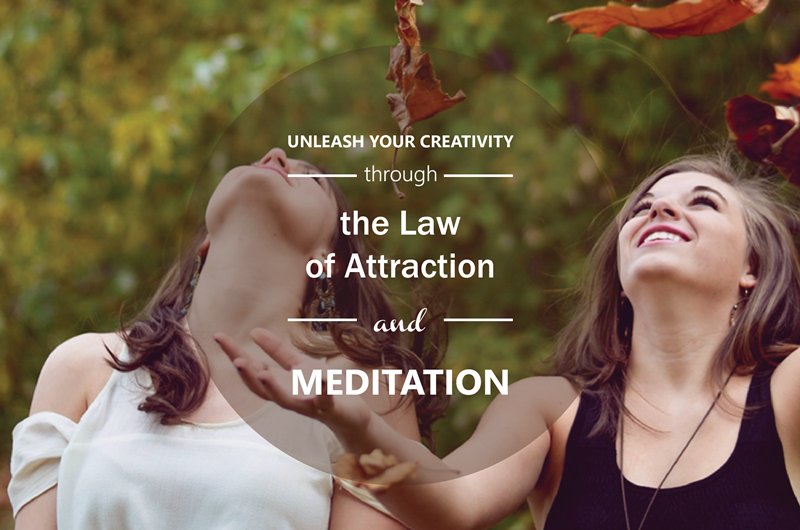 But how, exactly, can you use LoA if you are a creative or an entrepreneur? In order to better understand how LoA can help you increase your creativity and facilitate innovation in your chosen craft or in your business, you must first have a basic understanding of it. At its simplest form, LoA can be broken down to a few basic principles: deciding what you want, asking the Universe, acting as if you have achieved your goal, and then finally, detaching yourself from the outcome. How can that help you in your business or creative work? First, decide on what you want to achieve. Do you wish to write full-time, or are you content with simply entering a few literary contests? If you are an aspiring entrepreneur, you must decide which industry to go into and determine the when and where. Next, you need to ask the Universe to help you fulfill what you desire. That entails the use of positive affirmations. These positive words will set the gears of the Universe in motion and lead to the fulfillment of your desire. It is important to note that you yourself should believe that your goal is attainable, regardless of whether that means finishing your novel in a year or opening your cupcake store in two years. You also need to supplement positive affirmations with positive thoughts. Picture yourself already finishing your book or discovering a breakthrough product for your business. Here, meditation can be of great help to you. Before meditating, find a quiet area devoid of distractions like computers and your phone. Next, write down your goal or the problem you want to solve (perhaps a knotty plot that you can’t seem to solve). After that, use slow breathing as you meditate. And then, write down possible solutions. The final thing that you need to do in order to utilize LoA is to detach yourself from the outcome. This does not mean that you do not care about what the outcomes will be. Rather, it is all about giving yourself the flexibility to accept what comes your way and to make the necessary adjustments. For creatives and entrepreneurs, it is worthwhile to note that what you desire will not simply manifest. You still have to put in hard work. Only after you have a firm grasp of what you truly want and start taking the necessary steps can your goals come into fruition.